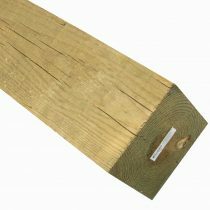 All of our Timbers are below-ground treated. 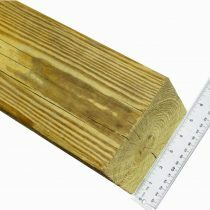 Timbers are typically used for supporting structures near, on, or in the ground. Our 4×4’s and 4×6’s are disbursed copper azole treatment with BARamine at a .14 retention level for ground-contact. Our 6×6’s and 8×8’s are CCA treated .40 retention level for ground contact. Our 8×8 Durapine timber has a rough surface. Graded #2 and has below-ground CCA-Treatment. This grade allows for knots, wane and other imperfections. It is sold by the board in 10′, 12′ and 16′ lengths. 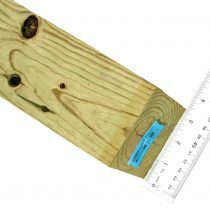 Actual board dimension is 7-1/4″ thick by 7-1/4″ wide. 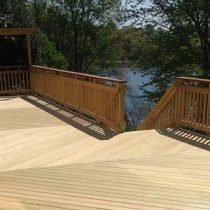 This timber is often used for decks and landscaping.